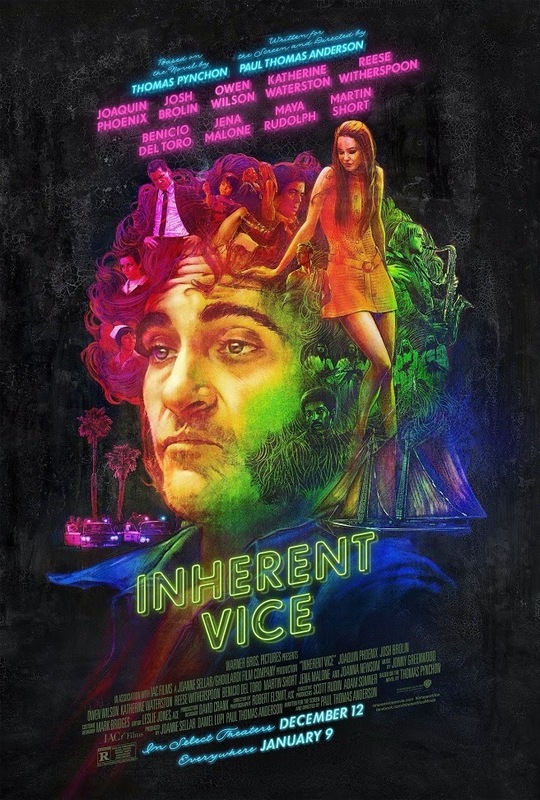 Having slogged my way through Gravity's Rainbow, I'm now most of the way through Inherent Vice. Much lighter fare, IV, as compared to GR. The memorable backside slapping is a theme from GR, for sure, if lighter. I'm glad Pynchon finally got a movie to his credit, but I'm disappointed that you didn't like it better (as I trust your opinion.) How did they handle the ships at sea scene, I wonder? So much of the story is hallucinogenic, it seems like a nice fit with the silver screen...oh well, maybe I'll see for myself, provided it ever shows in provincial socal. I think it's something that, like many things, works better on the page, gDog. I read some of the book and liked it quite a bit; also liked the hippie atmospherics in the film. Like all of PTA's films, there are some wonderful set pieces, but as a linear narrative it's a tedious slog.